Theese past few weeks have been so busy with going back to work (crazy) and now the kids are back in school (totally crazy). I´m rambleing....Time to get serious! We have new sketch for you today! It´s the lovely Wilma who has made the sketch and here is my take on it. I had to turn this one round to make it work. 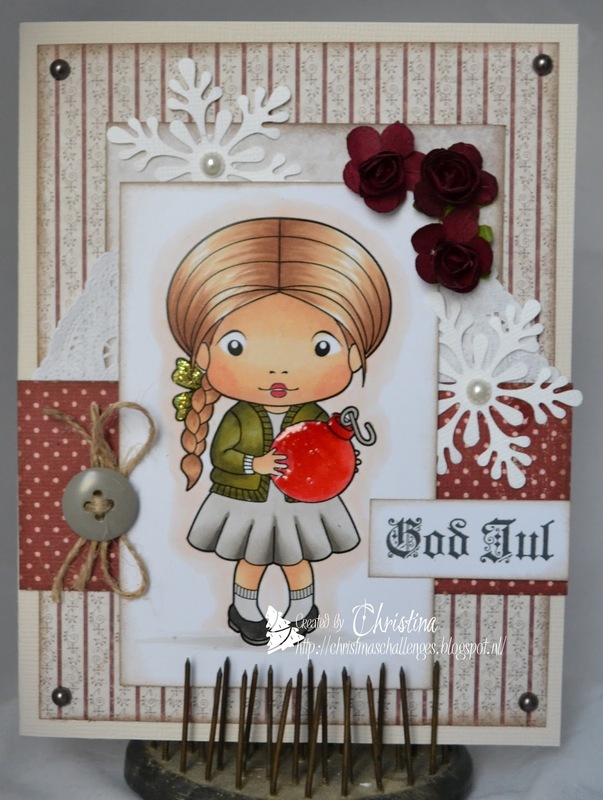 The image is from La La Land Crafts and it´s one of their new releases. Don´t forget to visit the blog and check out what the rest of the DT has made! Fab card, Christina. I love your colouring, it's super.